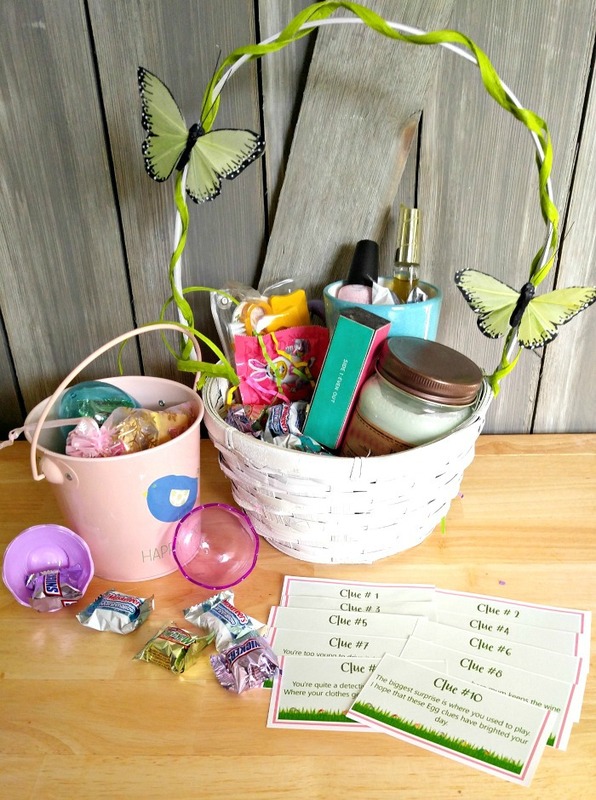 Easter is a fun time for both kids and grownups. It is one of the few holidays early in the year that rivals the popularity of Christmas, Halloween and Thanksgiving. Join in the Easter fun at your house with these DIY projects, home decorating ideas and yummy recipes. Decorating for Easter is a lot of fun. You can add whimsical kid-inspired items and also go all in for a Farmhouse Easter decor theme. Are you ready for some Easter Fun? 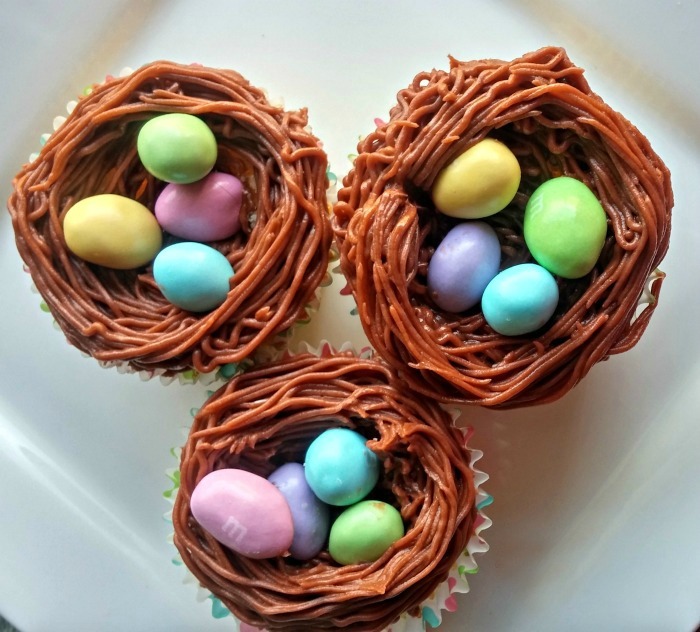 These adorable bird’s nest Easter cupcakes have yummy robin’s eggs for a realistic looking Easter treat. They are easier to make than you might think! Got an old lunch bag? 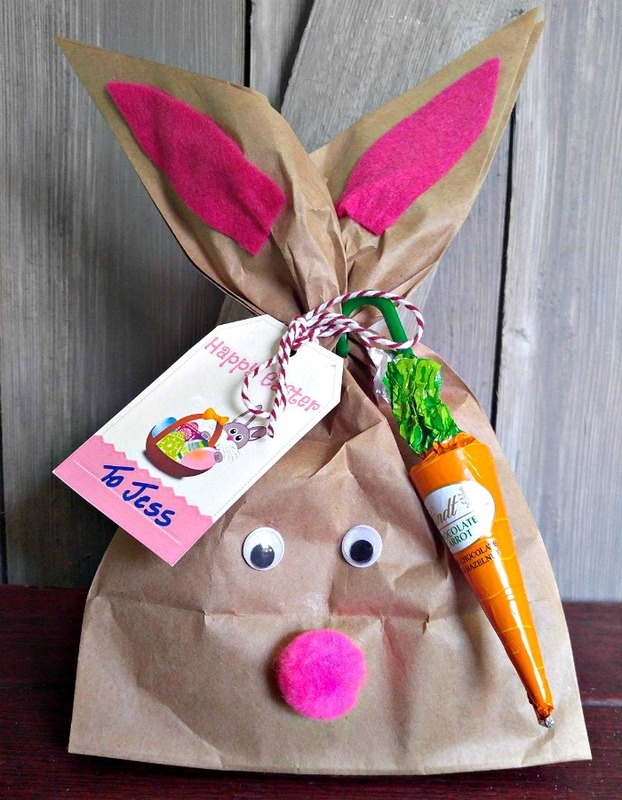 Turn it into a fun Easter Gift Bag with just a few craft supplies. The kids will LOVE this one! 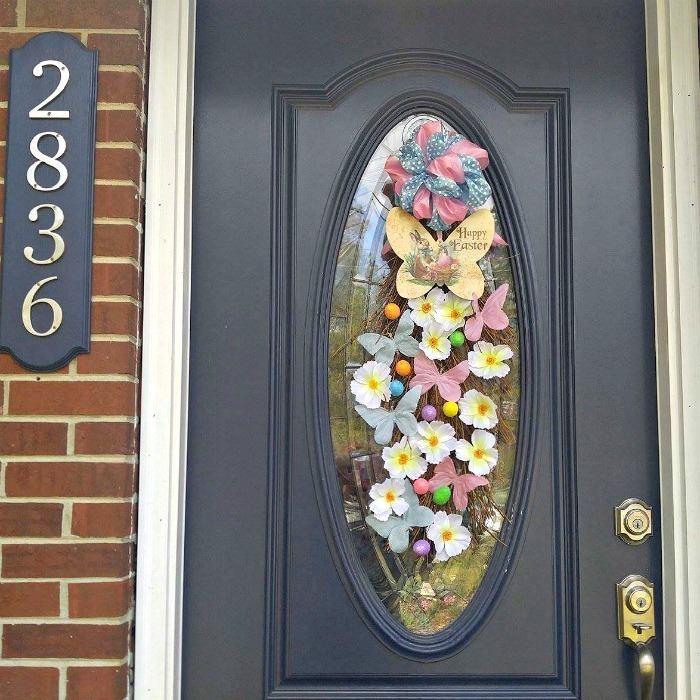 I decorate two areas of my house for Easter – my dining room table and my front door. This adorable Easter Door Swag has a country chic vintage look to it that I love. There are so many tempting Easter treats to eat this time of the year. 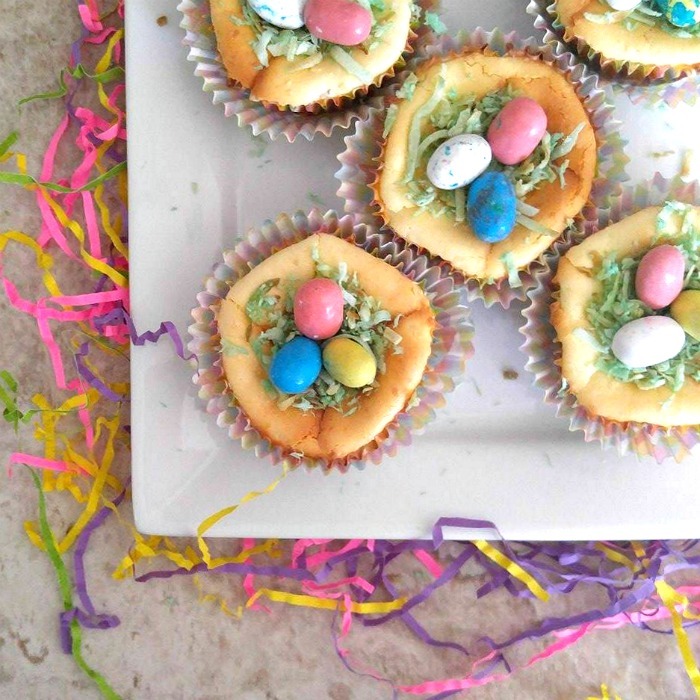 These mini Easter Egg cheesecakes have built in portion control. 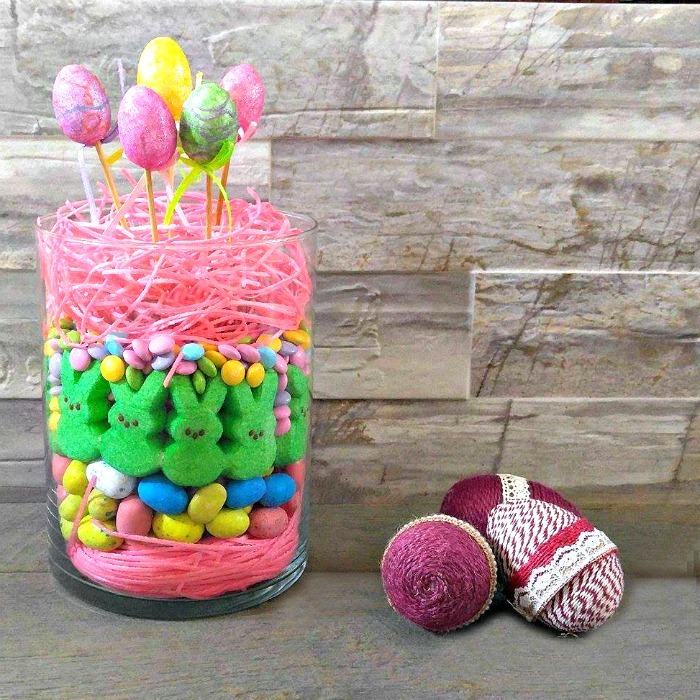 This Peeps Table Centerpiece will the hit of your Easter gathering. It is so quick to make and the kids will love to help out! 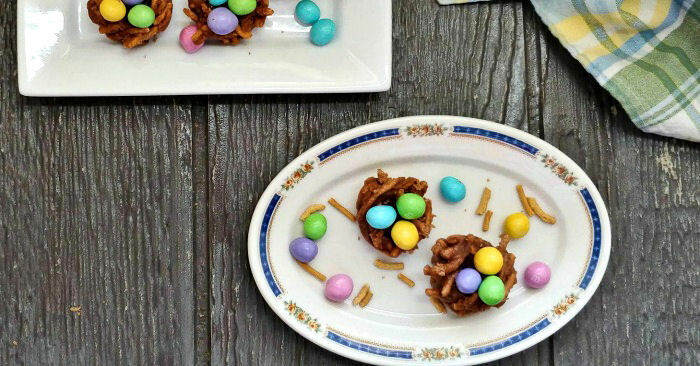 These no bake Bird’s Nest Cookies are super easy to make and the kids will love to help out. Easter is the time for gifts of all types. 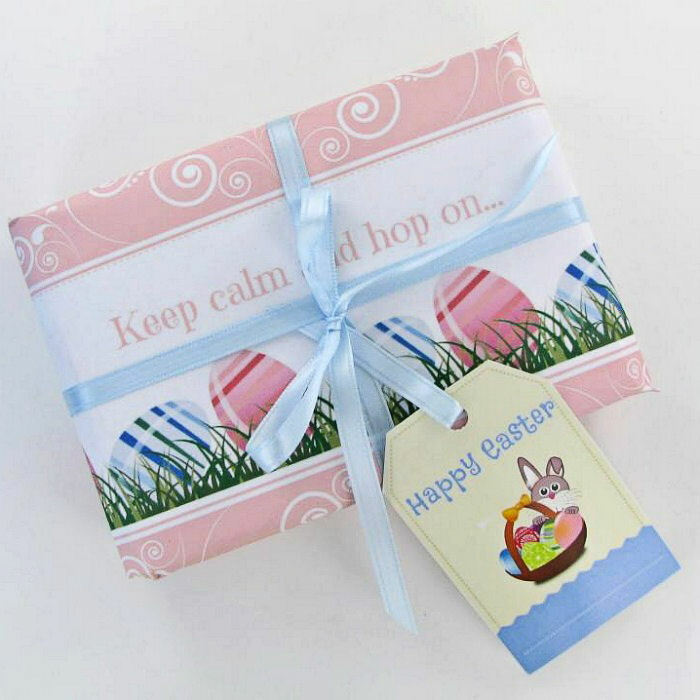 Print out your own Easter labels and even some pretty wrapping paper here. 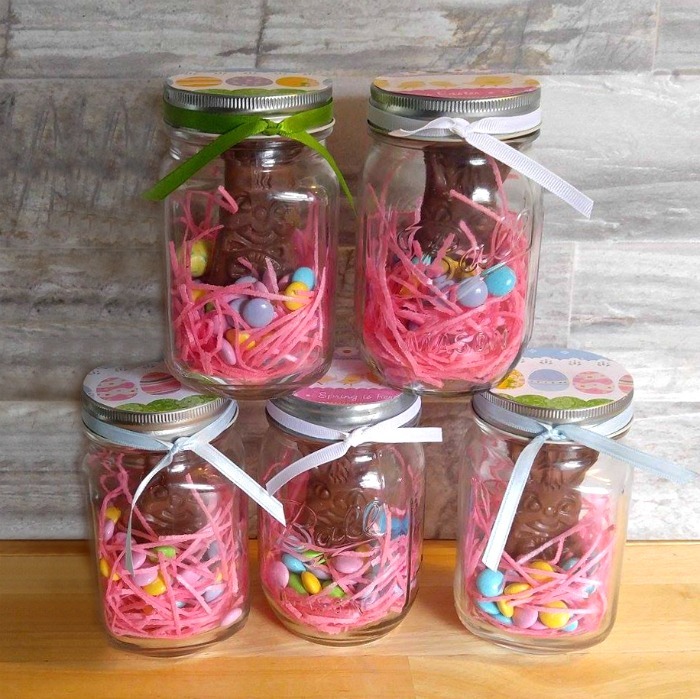 This adorable Mason Jar Easter Bunny Treats project is simple to do and a great alternative to a larger Easter basket. 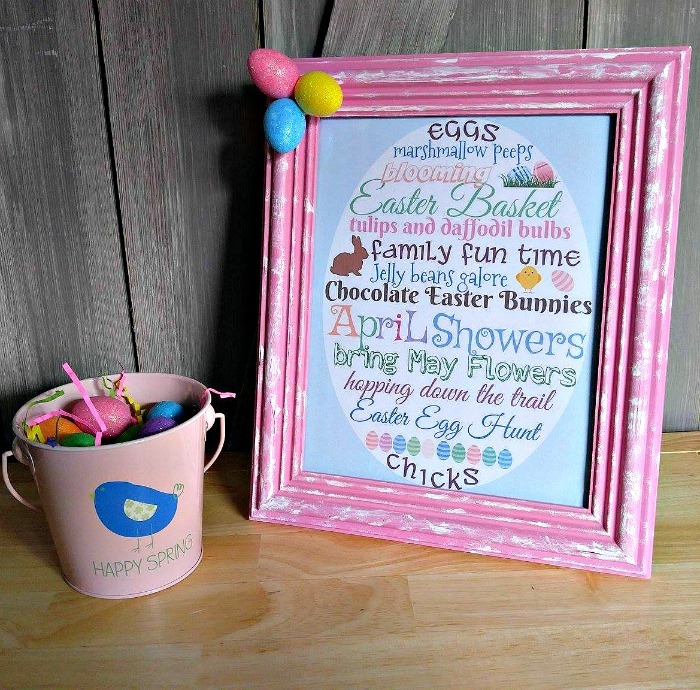 Easter printable are so much fun to frame for instant holiday decor. This pretty Easter printable and DIY pink white washed picture frame have a fun rustic appeal. 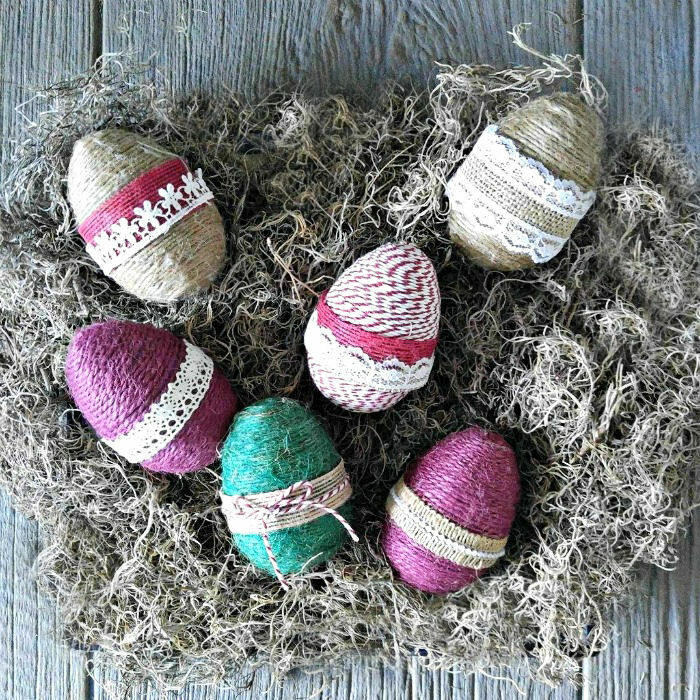 These rope wrapped eggs are fun to make and can be used for both Easter and spring decor. 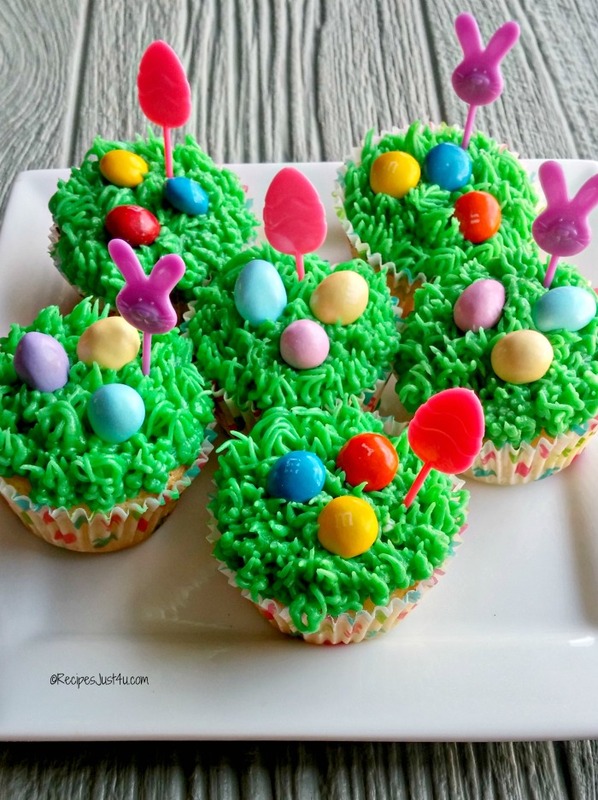 These pretty Easter grass cupcakes will be the hit of your dessert table. You won’t believe how easy they are to make! Looking for an adult beverage to celebrate the holiday? 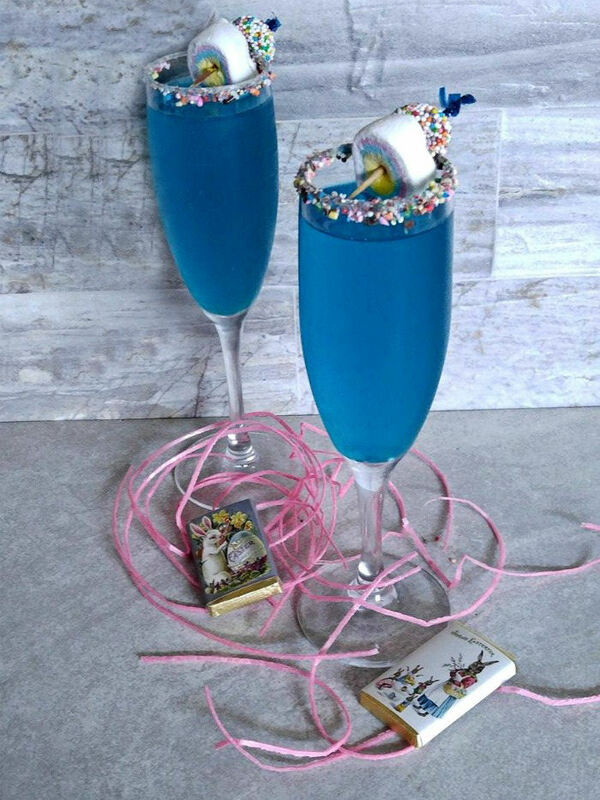 This Midnight Kiss Cocktail is decorated with Easter candy and sprinkles for a fun look. 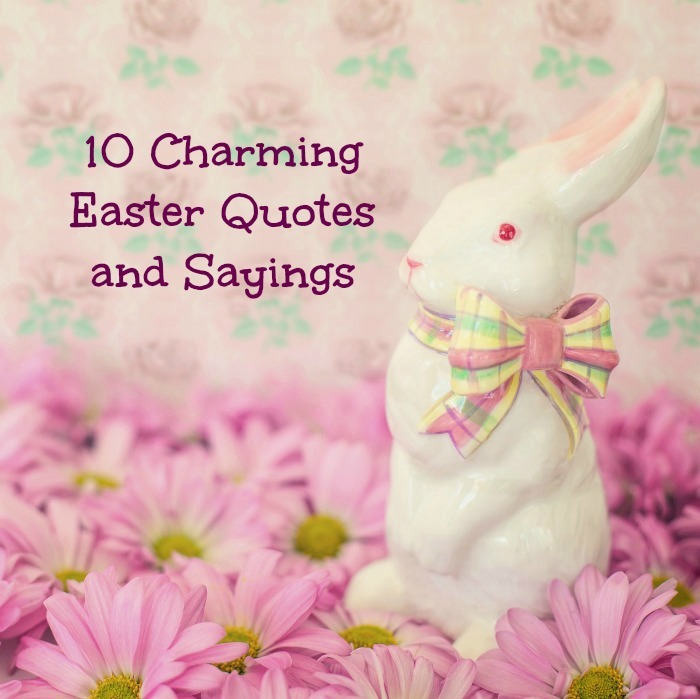 And finally, these fun Easter Quotes and Sayings are perfect for your printables, greeting cards and crafts. What is your favorite thing to do to celebrate and decorate for Easter?